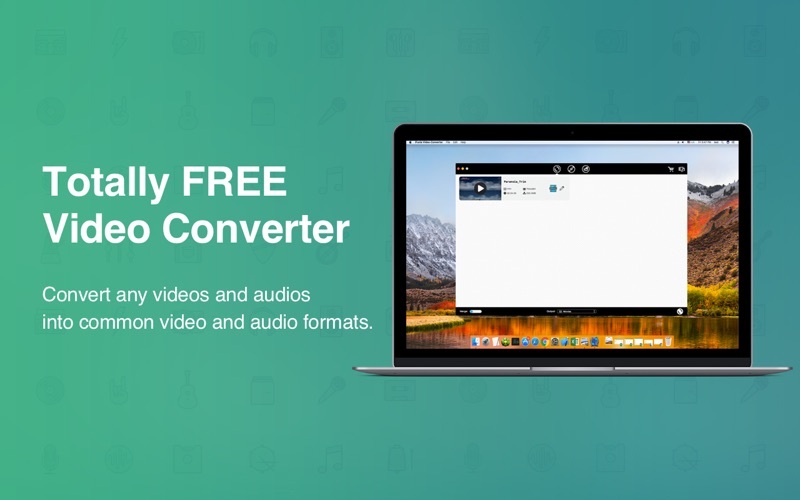 iFunia Video-Converter is a totally free video converter for mac users to convert SD and HD videos files into the appropriate format (video/audio formats) for use on personal computers or popular mobile devices with a few clicks. It handles 100+ video file formats and converts for your favorite devices. Just drag your video or home DVD into iFunia Video Converter, select an output preset and click convert. It's really that easy. - Totally Free to convert any video and audio file formats. - Supports HD video conversion (including AVCHD MTS, M2TS, H.264/AVC, HD MOV, AVI, etc). - Convert homemade DVDs into video and audio files. - High quality video output and speed video conversion. - Extract audio out from video, and enjoy MP3 music anywhere. - Quite easy to use, you just throw video files into iFunia Video Converter, choose output format, and click “Convert” to get your desired videos in a flash. - Built-in media player for you to play back video and audio. 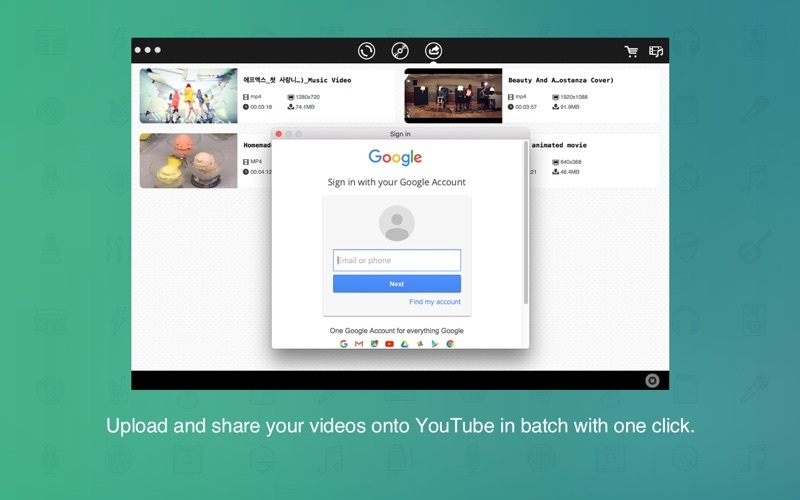 • Batch convert multiple video files at a time. • Convert videos for all devices and software including: Apple iPhone X, iPhone 8, iPad, Apple TV, iPod, Apple iTunes, iMovie, iDVD, Final Cut Pro, Game Console, Other Mobile Phone, Tablet or Portable Video Player. 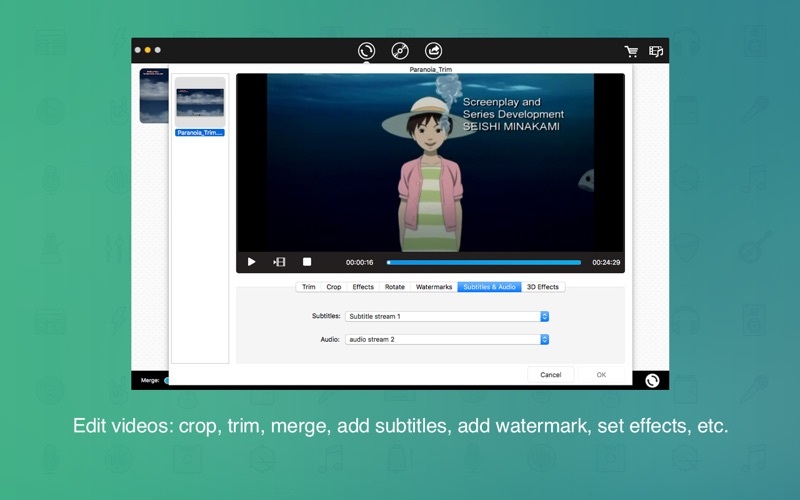 • Edit your video including: crop, trim, rotate, add effects, deinterlace, add watermark and subtitle. 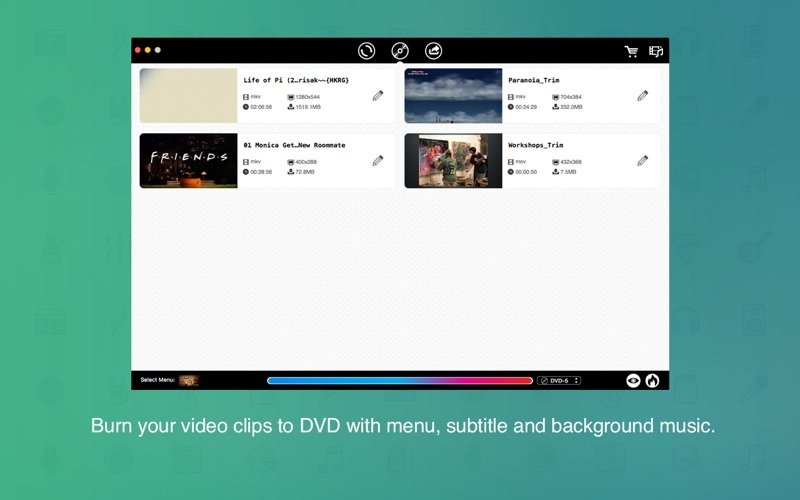 • Burn any video to DVD with menu, subtitle and background music without watermark. • Store your videos into DVD disc, folder and/or ISO image file. • Edit video files, add disc menu to output DVD, and design disc menu with personal preferences at will. "The iFunia Video Converter is accessible, has an Apple-like interface, easy to use and very fast in video processing." - Standard Definition Videos: MOV, MP4, AVI, DIVX, MKV, WMV, FLV, F4V, 3GP, 3G2, ASF, MOD, TOD, RM, RMVB, TS, T2, M2T, DV, DIF, MPG, MPEG, M2V, MPA, MJPG, MJPEG, DVR, MPV, AU, DAT, NUT, NSV, QT, H261, H263, H264, YUV, VRO, AMV, ISO. - High Definition Videos: AVCHD Video (mts, m2ts), HD MP4, HD AVI, HD MOV, HD MPG, HD MPEG, HD WMV, HD TS. - Standard Definition Videos: MP4, AVI, MPG, MPEG, VOB, MOV, M4V, ASF, WMV, FLV, SWF, RM, MKV, 3GP, 3G2, DV, WEBM, TS. - High Definition Videos: HD MP4, HD MOV, HD MKV, HD MPG, HD ASF, HD AVI, HD WMV, HD FLV, HD TS. - Audio: AAC, M4A, AC3, MP3, WMA, WAV, OGG, AIFF, FLAC, AMR, MKA, MP2, AU. - Apple Device: iPhone, iPad, iPod, Apple TV. - Apple Software: iTunes, iMovie, iDVD, Final Cut Pro. - Game Console: Xbox 360, PSP, PS3, Wii, NDS. - Other Mobile Phones and Tablets. - Portable Video Player: Walkman, Zune, Palm, Creative ZEN, Sansa, ARCHOS, iRiver. 1. Totally free to get and download iFunia Video Converter. 2. Totally free to convert any video and audio files into general video and audios formats. 3. Newly added video profiles for the newest portable devices, including iPhone X, iPhone 8, iPad Pro etc. 4. Resolved several compatible issue with certain DVD Players and enhanced burning stability. 5. Fix some minor bugs which might cause the program crash. 6. Full compatible with macOS 10.13 High Sierra.